Richard Pak is Associate Professor at Clemson University Department of Psychology. His research looks at how age-related changes in cognition affect people’s ability to use technology. He is the lab director of the Cognition, Aging, and Technology Lab at Clemson. He is author of the book Designing Displays for Older Adults (2010) and co-edits the Human Factors Blog (http://humanfactorsblog.org/). Anne Collins-McLaughlin, an Associate Professor at North Carolina State University Department of Psychology, is the lab director of the Learning, Aging, and Cognitive Ergonomics Lab, and co-directs the Gains Through Gaming Lab. 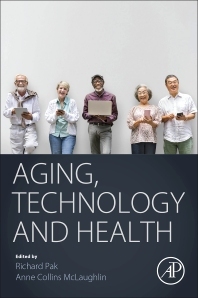 Her research looks at the motivation for cognitively complex activities, age-related changes in cognitive abilities, training to use technology, and cognitive ergonomics. She is author of the book Designing Displays for Older Adults (2010) and co-edits the Human Factors Blog (http://humanfactorsblog.org/).